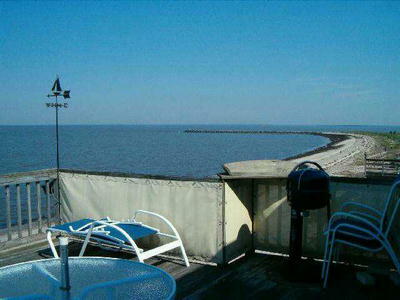 The views are forever from this 2 story home right on the Delaware Bay in Reed's Beach. 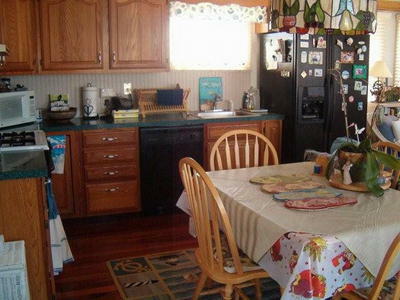 The first floor consists of a living room, dining area & kitchen combo, plus full bath and bedroom with 2 twin beds. 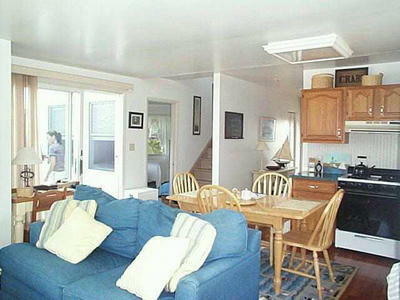 There is a sliding door from the dining area to the deck. 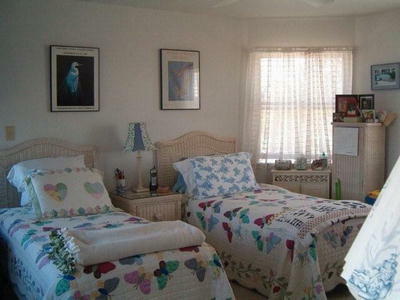 The second floor has a living area with queen size sleep sofa, powder room, and sleeping area with trundle bed (2 twins). There is also a large deck off of this level. 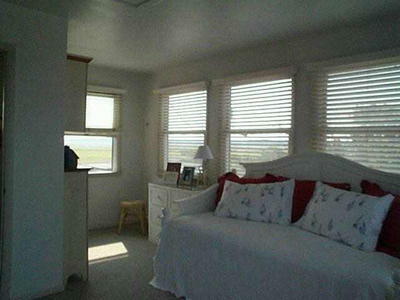 There are 3 A/C units provided, plus 4 ceiling fans for your comfort. 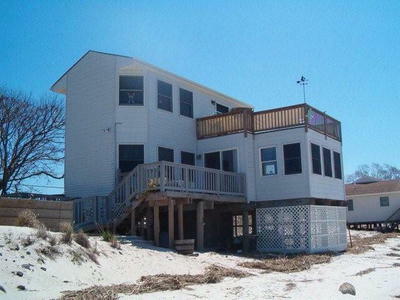 This quaint, picturesque area of Middle Township is a nature lovers paradise, walk the beach and fish for relaxation. There is also a marina just a short walk away if you have your own boat. 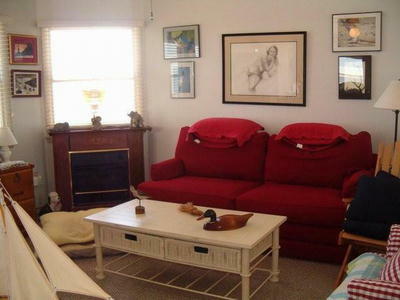 This home is comfortably and attractively furnished. 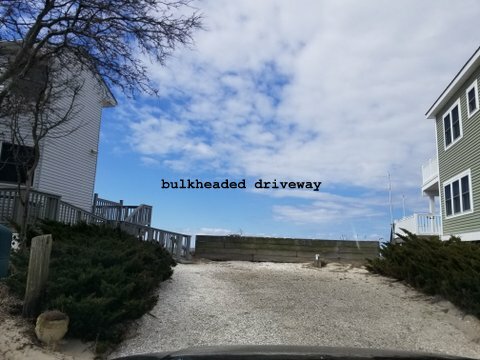 There is a handicap ramp to front door and rear deck. Handicap ramp, railings and stairs to lower deck are composite.